Administrative Law Judge (ALJ) Glynda B. Gomez, Office of Administrative Hearings (OAH), heard the above-captioned matter in Moreno Valley, California on April 18, 2011 and April 19, 2011. The Moreno Valley Unified School District (District) was represented by Maria Gless, Attorney at Law. Special Education Local Plan Area (SELPA) Interim Director Steven Morford, Ed.d, was also in attendance for District. There was no appearance by Student, her parent, or any representative on her behalf. District filed a request for due process hearing naming Parent on behalf of Student as respondent on February 2, 2011. A request for continuance was granted on February 24, 2011 for good cause. At the request of District’s counsel, at the close of hearing the record remained open until May 3, 2011 for the submission of closing briefs. District’s closing brief was timely filed. Student did not file a closing brief. 1. Whether the District’s offer of placement and services for Extended School Year (ESY) 2010 and the 2010-2011 school year as contained in the April 19, 2010, April 26, 2010, August 17, 2010, September 1, 2010, September 16, 2010, and November 1, 2010 Individual Education Programs (IEPs) constituted an offer of a free, appropriate public education (FAPE). 2. Whether Mother must make Student available for the occupational therapy (OT) assessment to which Mother had consented. 1. Student is a 21-year-old conserved young woman eligible for special education as a student with autism. She also has a medical diagnosis of asthma. 2. Student first entered the District in 2006. At that time, Student was attending a non-public school (NPS). Student attended an NPS until April 2008 when she was placed on home/hospital instruction pursuant to an order from her physician based upon complications from her asthma. 3. The District assessment team prepared a comprehensive triennial assessment report dated January 26, 2009. As part of the triennial assessment, program specialist Linda Munson (Munson) conducted an academic assessment of Student on December 19, 2008. Munson, an experienced special education teacher, used the Brigance Diagnostic Comprehensive Inventory of Basic Skills (Brigance) to assess Student. At that time, Student performed at the second grade level in reading comprehension, the sixth grade level in word recognition, and at the third grade level in computational skills. Munson opined that Student needed continued opportunities to practice her reading skills with a focus on reading comprehension. She also opined that functional academics in the areas of reading and math needed to be linked to independent living skills. 4. In January of 2009, school psychologist Brian Rice (Rice) assessed Student using the Cognitive Assessment System (CAS), the Wide Range Assessment of Memory and Learning-Second Edition (WRAML-2), the Bender-Gestault II, unspecified adaptive function behavior rating scales and interviews with Mother and Student. Student received a standard score of 52 within the cognitively delayed range on the CAS. Student performed in the average range on the portion of the Bender Gestault-II which required her to copy geometric shapes. However, she was unable to reproduce any of the shapes from memory and therefore received a standard score of 67 within the very delayed range on the Bender Gestault-II. Student received a standard score of 56 on the WRAML-2 within the significantly delayed range. Based upon the interviews, observations and the rating scale responses from Mother, Rice opined that Student’s adaptive skills were within the very delayed range consistent with her cognitive ability and diagnosis of autism. 5. On December 16, 2008, Nancy Penn (Penn) conducted an academic assessment of Student. Penn, a program specialist and experienced special education teacher holds a life multiple subject teaching credentials, a life severely handicapped specialist credential, a life learning handicapped specialist credential, a resource specialist certificate of competence and a cross cultural language and academic development (CLAD) certification. To ascertain Student’s level of academic achievement, Penn administered the Woodcock Johnson III Tests of Achievement (WJIII). Student received a standard score of 56 within the significantly delayed range. Student received standard scores of 52 in broad written language, 36 in broad math and 38 in broad language, all within the very delayed range. 6. Licensed speech and language pathologist Lisa Bradshaw (Bradshaw) of SenseAbilities LLC (SenseAbilities), a non-public agency (NPA) conducted an assessment of Student’s speech and language abilities in December of 2008. Bradshaw used the Clinical Evaluation of Language Fundamentals-4 (CELF-4), Receptive One Word Picture Vocabulary Test, Goldman-Fristoe Test of Articulation-2 and conducted an Oral-Peripheral Examination. Bradshaw opined that Student had severe expressive and receptive language deficits consistent with her diagnosis of autism. Bradshaw opined that Student had poor grammar, syntax and expressive vocabulary. Bradshaw noted that Student displayed muscle weakness and poor coordination. She recommended continued speech and language therapy and use of a voice-output communication device. 7. Licensed occupational therapist (OT) Suzanne Linett (Linett) conducted an assessment of Student on December 30, 2008. Linett received her bachelor of science degree in OT from the University of Southern California in 1977. Linett has 35 years of experience as an OT. To assess Student’s OT needs, Linett reviewed Student’s records, conducted clinical observations, and administered the Test of Handwriting Skills. Linett observed Student performing specific fine motor tasks and interviewed Mother about Student’s needs. Mother also completed a 125-question sensory profile questionnaire. Linett opined that Student’s fine motor skills were within functional limits. She also opined that Student had significant difficulties with sensory modulation and regulation of responses to her sensory environment. Linett recommended that Student be given a visual schedule, placed in a program with structure and routine, be given movement breaks and the opportunity to use sensory regulating activities to calm herself and refocus. 8. On January 23, 2009, District adaptive physical education (APE) teacher Kevin Bromley (Bromley) conducted an assessment of Student. The assessment was conducted in Student’s backyard. Bromley’s assessment consisted of observation of Student performing various gross motor and locomotor tasks. Using a checklist, Bromley evaluated Student’s locomotor, gross motor and balance skills. Bromley did not use a formal assessment tool because there were few formal tools available for Student’s age range and none of the available tools were appropriate for Student. Bromley opined that Student’s overall skills were good. He noted that she participated in community recreation programs and workout programs at home. Bromley recommended that Student be encouraged to continue with lifetime fitness and recreation skills to maintain and improve her physical fitness. Bromley did not recommend APE goals or services. 9. Pursuant to her July 7, 2009 IEP, Student was placed on home/hospital status with seven hours per week of individual instruction, one hour per week of speech and language therapy delivered in the home and one hour per week of training of Student and staff on the Vantage Lite voice output communication device (Vantage Lite). Mother consented to the July 7, 2009 IEP at a meeting on September 16, 2009. 10. Student’s annual IEP meeting was held on April 19, 2010. Mother, Student, Inland Regional Center (IRC) representative Janelle McDuffie, Administrator Jeff Frazier, home/hospital general education teacher Elsie La Salle (La Salle), program specialist Penn, special education teacher Tamra DeBeaubien (DeBeaubien) , NPA speech and language pathologist Bradshaw, School Nurse Cindy Hebard (Hebard), March Mountain High School principal Laura Strachan (Strachan), SELPA speech and language pathologist Ms. Carl, and autism program specialist Kathleen Yugo (Yugo) attended the April 19, 2010 IEP meeting. At the meeting, the IEP team presented Mother with a health care plan prepared by the school nurse detailing Student’s medications and medical precautions and protocols. Mother advised that she would have the physician review the health care plan. The IEP team agreed that the school nurse would also contact the physician to discuss the health care plan and invite him to participate in the IEP meetings. 11. The IEP team reviewed Student’s progress on the eight goals from her July 7, 2009 IEP. Student made progress on goals in the areas of social/emotional and self-help. Student met the remaining goals in vocational, reading, written language, math, semantics, and syntax. The IEP team discussed Student’s present levels of performance (PLOPs). The IEP team determined that Student had needs in the areas of social/emotional, self-help, vocational, reading, written language, math, semantics, syntax, answering questions, and retelling sequences and developed a goal for each area of need. At this meeting, the IEP team offer of FAPE was seven hours of individual instruction per week while on home/hospital instruction and one hour per week of direct speech and language therapy until June 10, 2010, when the home hospital order expired. The IEP also provided for an additional hour per week of speech and language therapy focused on the use of the Vantage Lite. One hour per month (two 30-minute sessions) of the Vantage Lite speech and language therapy was to be used for staff training. 12. For ESY 2010, the IEP team offered Student: 180 minutes of intensive instruction in the March Mountain High School Action program (Action) with a one-to-one aide each day; speech and language therapy once per week direct service for one hour focusing on speech and language; and one hour per week of speech and language therapist services focusing on the Vantage Lite. Within these services, one hour per month was to be used for staff training and collaboration with regard to the Vantage Lite. The IEP team also offered career awareness service one time per month for 30 minutes and job coaching twice a month for 30 minutes per session. 13. For fall 2010, Student was offered the same program and services as during ESY, plus agency coordination with regional center once per year for 60 minutes, and travel training once per month for 30 minutes. 14. The Action program is a functional skills and sheltered work program for young adult special education students. The three-hour morning program for Student would consist of functional academic skills instruction and participation in a simulated work environment under the direction of a special education teacher, instructional aides, and Student’s one-to-one aide. 15. Special education teacher Tamra DeBeaubien (DeBeaubien) teaches the Action class with the assistance of two instructional aides. DeBeaubien has eight years of experience as a special education teacher. She received her bachelor of arts in liberal studies from California State University San Bernardino in 2002 and has a mild to moderate special education credential. Stacie Lloyd (Lloyd) was selected to be Student’s one-to-one aide. Lloyd had one year of experience working as an aide to a student with cerebral palsy and is the parent of a disabled child. Lloyd received training at Riverside Community College and from District autism specialist Yugo and DeBeaubien. Lloyd attended Vantage Lite trainings and monthly collaboration meetings to prepare for Student’s return to school. 16. The IEP included a transition plan for Student’s return to school. The transition plan included the following: (1) Student will have a one-to-one instructional assistant; (2) Student will start ESY with a shortened three hour day to be increased as tolerated by Student and as deemed appropriate by IEP team; (3) Program specialist will meet with case carrier to coordinate all IEP services; (4) Before beginning the Action program, Mother will schedule an appointment with program specialist to tour the school campus and meet the school staff; (5) The cases carrier will make arrangements for Mother and Student to meet with the appropriate school staff, including the instructional aide, teacher, school nurse, and the health technician to review Student’s individual health plan including the use of the nebulizer; (6) Parent will help develop the checklist needed for Student’s toileting and asthma treatment needs; (7) Program specialist will arrange training for Student’s new teachers and one-to-one instructional assistant in characteristics of learners with autism and strategies to promote learning; and (8) The case carrier and program specialist will meet with Mother and one-to-one instructional assistant to discuss roles and responsibilities and other concerns. 17. On April 26, 2010, the IEP team met again. The IEP team consisted of Mother, Student, general education/ home hospital teacher La Salle, program specialist Penn, NPA speech and language pathologist Bradshaw, IRC representative Janelle McDuffie and administrative designee Jeff Frazier. At this meeting, the IEP team discussed the proposed ESY and 2010-2011 placement for Student which had been set forth in the April 19, 2010 IEP. The IRC representative discussed possible options for Student after her 22nd birthday when she would no longer be eligible for District services. The IRC representative discussed sheltered work situations and adaptive living skills programs. Two programs that were identified as potentially being appropriate for Student were Ability Counts and Exceed. At this meeting, Mother only consented to the speech and language services and the speech and language goals. 18. On May 26, 2010, during a home visit by Penn, Mother consented to the ESY portion of the April 19, 2010 IEP. 19. The home hospital order expired on June 10, 2010, and was not renewed by the physician. 20. On June 14, 2010, Penn left a voice mail message advising Mother that District’s contract with SenseAbilities would not be renewed after June 30, 2010. Penn also advised that Student would be transitioned to a District speech and language provider. Penn proposed that there be an overlap between the District speech and language therapist and SenseAbilities. On June 15, 2010, Mother returned Penn’s call. Mother was very upset about the change in speech and language providers. During the telephone call, Mother advised Penn that Student would not attend ESY. On June 18, 2010, Penn met with Mother, Student, the school nurse, Lloyd, and Maria Perez (Perez), the District speech and language therapist. Ultimately, Mother withdrew Student from ESY before the session began and Student did not attend ESY. 21. On August 17, 2010, an IEP team meeting was held with Mother, Student, general education teacher La Salle, program specialist Penn, special education teacher DeBeaubien, School Nurse Hebard, District Speech and language pathologist Lori Ford, OT Linett, Principal Strachan, and autism program specialist Yugo. At the August 17, 2010 IEP meeting, the team reviewed the offer of placement for the 2010-2011 school year, transition plan for return to school, transition plan for exit from District services and an individual health plan. Student’s home hospital orders expired and had not been renewed by the physician. Mother declined to sign an authorization for the physician to release information and speak directly to the school nurse. Instead, Mother advised that she would provide a physician’s statement of Student’s health needs and the need for continued home/hospital instruction. 22. At the August 17, 2010 IEP meeting, Mother expressed concerns about Student’s sensory needs and the use of Therapeutic Listening Program (TLP) to support Student’s sensory needs. Mother expressed a desire to continue TLP and believed that Student had improved her listening skills as a result of TLP. The IEP team agreed to an OT assessment of Student focusing on sensory issues. An assessment plan was prepared at the IEP meeting and given to Mother along with a copy of the Procedural Safeguards. Mother signed and returned the OT assessment plan during the August 17, 2010 IEP meeting. 23. Mother requested that Lloyd make two home visits for two hours, each visit with the case carrier, to become familiar with Student. Mother also requested that a speech therapist with extensive autism experience be provided to Student. The IEP team agreed to meet again before October 15, 2010, to discuss Student’s readiness for an increase in the length of her school day. On August 17, 2010, Mother consented to the IEP except for the speech and language services by a District speech and language therapist. 24. On August 18, 2010, Mother wrote to Penn expressing her concerns that District speech and language therapist Perez was not trained in Applied Behavior Analysis (ABA) or discrete trial training (DTT). Mother expressed that she believed Perez lacked the necessary familiarity and training with autism to provide any benefit to Student. Mother further advised that she did not want Perez to start any speech and language therapy with Student or to overlap with the NPA provider during the transition period. As a second issue, Mother expressed concern about one-to-one aide Lloyd’s qualifications and training and suggested that District contract with CARD, an NPA behavior provider. Additionally, Mother expressed concern about Student riding the school bus and asserted that Student had been molested when riding a bus in a different school district. Mother requested an aide to ride the bus with Student. She reiterated her request that the District continue to contract with SenseAbilities for Student’s speech and language therapy. 25. Mother brought Student to the Action class on August 23, 2010. Student attended the Action class for three hours on August 23, 2010. DeBeaubien had setup a desk with office equipment and a computer to simulate an office for Student to practice office skills. Lloyd and DeBeaubien both opined that Student had a good day at school. Lloyd remembered that Student was smiling when she left school that day. Student never returned. 26. On September 1, 2010, another IEP team meeting was held to discuss Mother’s concerns about speech and language therapy and transportation. In attendance were Mother, Student, Principal Strachan, program specialist Penn, autism program specialist Yugo, special education teacher DeBeaubien, OT Linett, school nurse Hebard, speech and language pathologist Perez and school psychologist Makela. Mother continued to be concerned about Perez’s qualifications and insisted that District contract with SenseAbilties for Student’s speech and language therapy. The District IEP team members expressed confidence in Perez, the selected therapist. The IEP team discussed Perez’s qualifications and the differences between a speech and language therapist and ABA behavior therapists. 27. Perez was a qualified speech and language pathologist with the requisite credentials, experience and training to provide speech and language therapy to Student. Perez received a bachelor of arts from California Polytechnic University at Pomona and a master of arts from Loma Linda University. She has been a licensed speech and language pathologist since 1997 and is also a registered nurse. She serves as the District speech and language pathologist for high schools and the Action program. Her duties include assessment of students, attending IEP meetings and providing speech and language therapy to students. Perez has experience with autistic students and has received additional training from District autism specialist Yugo. Perez was familiar with ABA and DTT and had experience teaching social language skills to autistic children. 28. Mother remained unconvinced of Perez’s qualifications to provide speech therapy to Student. Mother expressed that she believed the IEP was not being implemented and she requested an “emergency IEP meeting” to discuss withdrawing consent to the IEP. Mother again requested an aide to ride the bus to and from school with Student. District agreed to provide an aide on a temporary basis to gather data on Student’s ability to ride the bus and need for assistance on the bus. 30. During the September 16, 2010 IEP meeting, Mother requested that Student be provided with a piano and noise reducing headphones, that Mother be a part of the staff meetings and trainings, and that specific substitute teaching staff be used. The IEP team reviewed the offer of FAPE, the transition plan, and the planning and training that had been undertaken to orient all of the staff to Student’s needs. Mother did not consent to the IEP. 31. On September 17, 2010, OT Linette left a message for Mother to schedule an appointment for the OT assessment on September 23, 2010. On September 20, 2010, Mother called Linette and cancelled the appointment. That afternoon, Penn contacted Mother to discuss the assessment and ask about Mother’s concerns. Mother confirmed that she cancelled the assessment and that she would contact the District in the next few days with her concerns. Mother again declined to provide a date for the assessment. 32. On September 27, 2010, District notified Mother in writing that it denied her request to be included in staff meetings and training, access to a piano during the school day and speech and language therapy provided by SenseAbilities. District also notified Mother in writing that the request for noise reducing headphones was denied until an OT assessment was completed. 33. Mother did not dispute the need for an OT assessment, but refused to make Student available. District attempted to schedule an IEP meeting on October 8, 2010, to discuss the still pending OT assessment, but Mother refused to attend on that day. Mother advised Penn that she would be available after October 16, 2010. 34. On October 13, 2010, District notified Mother by hand delivery of an IEP meeting notice for an IEP meeting to be held on October 15, 2010. On October 14, 2010, Penn followed the hand delivery with an email reminder of the IEP meeting. Mother responded that October 15, 2010 was inconvenient and proposed October 21, 2010. Because the 60-day time line for holding an IEP meeting after an assessment plan has been signed would expire on October 15, 2010, District IEP team members held the scheduled meeting without Mother. 35. The IEP team met on October 15, 2010, to discuss the still pending OT assessment, but took no action at the meeting. Program specialist Penn, autism specialist Yugo, school nurse Hebard, school psychologist Makela, special education teacher DeBeaubien, and speech and language pathologist Perez attended the IEP meeting. Mother and Student did not participate in the IEP meeting. The IEP team documented that the OT assessment had not been completed because Mother had not made Student available for assessment. 36. Mother did not respond to a notice for an IEP meeting scheduled on October 26, 2010. District members of the IEP team assembled for the meeting, but Mother and Student did not appear for the meeting. The IEP meeting was rescheduled to November 1, 2010. On October 27, 2010, District provided Mother with a notice of an IEP meeting scheduled for 1:30 p.m. on November 1, 2010. Penn and DeBeaubien each tried to reach Mother about her availability for the IEP meeting and left voice mail messages for her. On October 28, 2010, Mother acknowledged by email that she had received the meeting notice, but would not confirm her attendance at the meeting. On the morning of November 1, 2010, DeBeaubien called and spoke to Mother about the IEP meeting. Again, Mother would not commit to attending the meeting. She told DeBeaubien that she “may or may not” attend the meeting. 37. The IEP team met on November 1, 2010, at 1:30 p.m. to discuss the status of the OT assessment. In attendance were Principal Strachem, program specialist Penn, special education teacher DeBeaubien, OT Linett, school nurse Hebard, speech and language pathologist Perez, autism program specialist Yugo and school psychologist Makela. The IEP team documented that the OT assessment had not been completed because Mother had not made Student available. Therefore, there was no new assessment data to discuss. The IEP team reviewed the August 17, 2010 IEP offer of FAPE and determined that it continued to be appropriate. The IEP team also reviewed an October 28, 2010 email from Mother wherein she expressed concern about the noise level in the afternoons in the Action class. The IEP team determined that since Student was only scheduled to attend in the mornings, the afternoon noise level would not disturb her. 38. On November 3, 2010, Penn provided Mother a copy of the November 1, 2010 IEP by email. 39. Although Mother withdrew her consent to the IEP and expressed reservations about Student returning to school, the educational staff continued preparations and training, as planned, to support Student if she returned to class. On August 19, 2010, school nurse Cynthia Hebard trained nine District staff members on the use of nebulizers and individual health plans. On August 24, 2010, Hebard conducted a nebulizer and health care plan training specific to Student’s needs. On September 13, 2010 and September 14, 2010, speech and language pathologist Perez, one-to-one aide Lloyd, special education teacher DeBeaubien and program specialist Penn received web-based training on the Vantage Lite. On October 5, 2010, DeBeaubien, Lloyd, school psychologist Makela, and autism program specialist Yugo received three and a half additional hours of training from a Vantage Lite Company consultant on the use of the device. On October 26, 2010, December 1, 2010, January 12, 2011 and February 2, 2011, DeBeaubien, Lloyd, Makela, Yugo, Penn, Linette and Perez, met to collaborate about ways to help Student’s transition to a school setting and methods for providing instruction and support to her. The meetings included the entire team of professionals that had been assembled to provide Student’s educational program, Yugo, the autism program specialist, provided autism focused training and materials to the meeting participants. 40. On April 15, 2011, Mother sent District a letter withdrawing Student from District. 2. In Issue One, District contends that the offer of placement and related services in its IEPs of April 19, 2010, April 26, 2010, August 17, 2010, September 1, 2010, September 16, 2010, and November 1, 2010 offered Student a FAPE for ESY 2010 and the 2010-2011 school year. As discussed below, District met its burden of proof. 1All subsequent references to the Code of Federal Regulations are to the 2006 edition. 14. 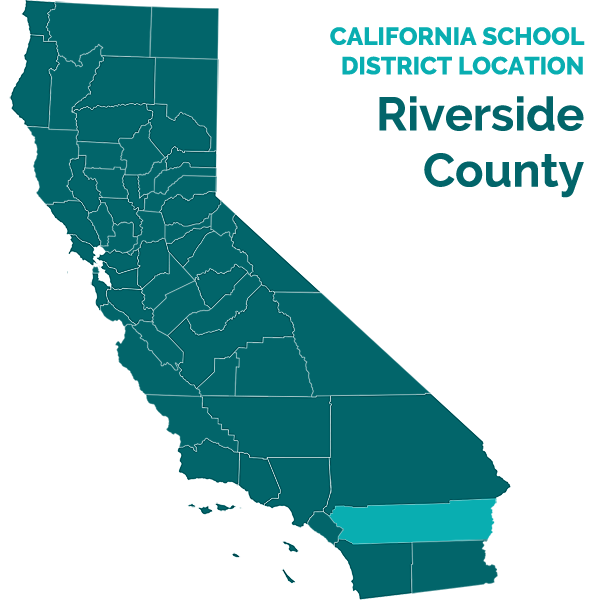 Here, District met its burden of proving by a preponderance of the evidence that it complied with the procedural requirements of the IDEA and California law in developing Student’s April 19, 2010, April 26, 2010, August 17, 2010, September 1, 2010, September 16, 2010 and November 1, 2010 IEPs. Mother was provided with notice and an opportunity to participate in the development of Student’s IEPs. Mother participated in and assisted with the development of Student’s PLOPs, goals, educational program, related services and discussion of the continuum of placement options. The IEP team, comprised of the necessary participants, developed an IEP which comported with the procedural requirements of the IDEA and California law including a statement of PLOPs, goals, education program, services, a transition plan, and which delineated Student’s level of interaction with non-disabled peers. 15. District also proved by a preponderance of the evidence that it offered Student a FAPE at all relevant times. The IEP team evaluated Student’s needs for related services and developed an appropriate educational placement for her. Given that Student had already spent two years in home/hospital instruction, was 21 years old and had low cognitive ability, low adaptive skills, and was not on a diploma track, the District members of the IEP team recommended that Student be placed in the Action class. The Action class offered a functional academic program with like-aged peers that would address Student’s academic goals. In addition, to assist Student with transitioning to adult life, the Action class included instruction in independent living skills, work skills and a sheltered employment program that would allow Student an opportunity to generalize functional communication and academic skills, develop social relationships, vocational skills and be exposed to similar-aged Students. The Action program was also preparatory for the programs which would be available to Student through IRC when she was no longer eligible for District services at the age of 22. The IEP team also offered transportation to and from the Action class. 16. District’s offer of placement was in the LRE. The District’s proposed placement offered Student an opportunity to receive a meaningful educational benefit tailored to her unique needs in a supportive environment where her IEP can be implemented. No member of the IEP team, including Mother, contemplated placement in a general education classroom. Student was already 21 years old and required a functional curriculum which was not available in the general education classroom. The evidence at hearing showed that Student was not able to engage with typically developing peers and was isolated because of her inability to communicate. Student’s advanced age, intensive medical needs and inability to communicate would be disruptive to a general education class. Additionally, general education classes would not contain same aged peers because Student was already an adult. No evidence regarding the cost, if any, of full time placement in a general education classroom or mainstreaming was presented; however, this factor has little weight given that neither Mother nor District contemplated such a placement. Based on the above, District demonstrated by a preponderance of the evidence that a full-time general education placement was not appropriate for Student. Because a full-time general education placement is not appropriate for Student, the focus must be on the continuum of placement options and the degree of mainstreaming, if any, that is appropriate for Student. 17. In evaluating those options, including home instruction and the Action class, the team considered the restrictiveness of the placements and the suitability of each placement to implement Student’s IEP and the non-academic benefits of the placement. The Action class offered Student the opportunity to have social interactions with similar aged peers and to generalize her functional academic and communication skills, gain vocational skills and potentially participate in simulated and sheltered employment. The placement offered would foster the independence, development and generalization of skills contemplated by the goals developed for the April 19, 2010, April 26, 2010, August 17, 2010, September 1, 2010, September 16, 2010 and November 1, 2010 IEPs and is in the least restrictive environment. 18. District’s offer of related services was also appropriate. District offered direct speech and language service with a District speech and language pathologist to develop Student’s communication abilities and offered training to Student and her teacher on the Vantage Lite. Mother did not dispute the appropriateness of the speech and language goals or the duration and frequency of service. Mother consented to speech and language therapy and goals, until the provider was changed. Mother insisted that District’s speech and language pathologist was not qualified to provide therapy and that SenseAbilities, the NPA, must provide the therapy in order for Student to receive a FAPE. The preponderance of the evidence shows that District’s offer provided for adequate and appropriate speech and language therapy by an experienced and qualified District speech and language pathologist. 19. With regard to OT services, Mother refused to make Student available for OT assessment. Accordingly, District had no updated information upon which to offer additional OT services or supports for the change from a home environment to a school environment because of Mother’s refusal to make Student available. 20. District also offered career awareness services, travel training, job coaching and agency coordination with the regional center. These services were appropriate for Student as she was an adult close to the time of transition from District services to regional center services. The career awareness services, travel training, job coaching and agency coordination were appropriate to prepare her for that transition. 22. In Issue Two, District contends that Mother should be required to make Student available for the occupational therapy assessment to which Mother has already consented. District met its burden of proof on this issue as well. 1. District’s offer of placement in the Action class with related services, goals, transition plan and individual health plan contained in April 19, 2010, April 26, 2010, the August 17, 2010, September 1, 2010 IEP, September 16, 2010 and November 1, 2010 Individual Education Programs offered Student a free appropriate public education in the least restrictive environment for ESY 2010 and the 2010-2011 school year. 2. Mother must make Student available for District’s occupational therapy assessment pursuant to the August 17, 2010 assessment plan within ten (10) calendar days of this decision if she desires to avail herself of District occupational therapy services.